After being diagnosed with depression, Paul Stephens’ mental health led him to contemplate taking his own life. However, he has made an inspiring recovery which he dedicates to the discovery of walking football and work of the Leyton Orient Trust. Walking football, as the name suggests, is a slow paced version of the game which is aimed specifically at the over 50’s. It is part of EFL Trust’s #2ndHalf campaign to encourage older adults to stay active and is run by most EFL clubs. 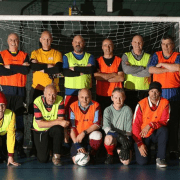 During his time on the walking football programme at Leyton Orient Trust, Paul has found a new lease of life in his passion for the game, and was keen to emphasise the positive impact that walking football has had on his mental health. ”It came along at the right time for me and I’m not sure where I would be if I hadn’t discovered it. It has benefited my life enormously,” said Paul. 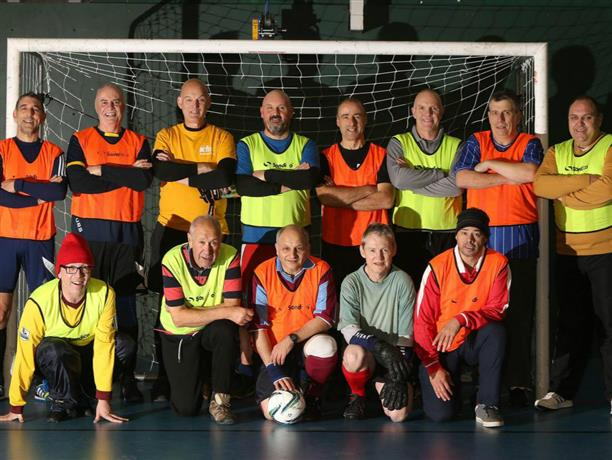 The 50 year-old who works in the transport industry originally tried out for a veteran’s team, before being directed from East Ham to Orient’s walking football programme which was formed in October 2015. Today the programme has around 40 people on the register with the average attendance for a Tuesday session peaking at 14, and Paul is proof that the scheme has certainly made a difference. Last month also saw the programme earn recognition within the borough as the Leyton Orient Trust received the Physical Activity and Health Project Award at the Waltham Forest Feel Good Sports Awards 2016, and having benefitted from the programme first hand, Paul ended with a message to anybody who finds themselves in a similar position to himself to get involved with walking football. ”Depression is a big issue, what would make my year is if somebody suffering with depression got into walking football, I’d be really happy.” he added.